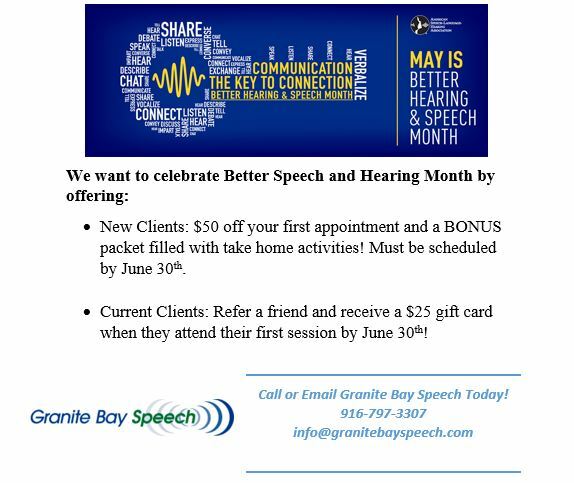 Granite Bay Speech would like to wish you a happy Better Speech and Hearing Month! To celebrate we are offering specials on consultations scheduled in May through the end of June. Current clients will also receive a gift for referring a friend. Call us today and take advantage of this great promotion!